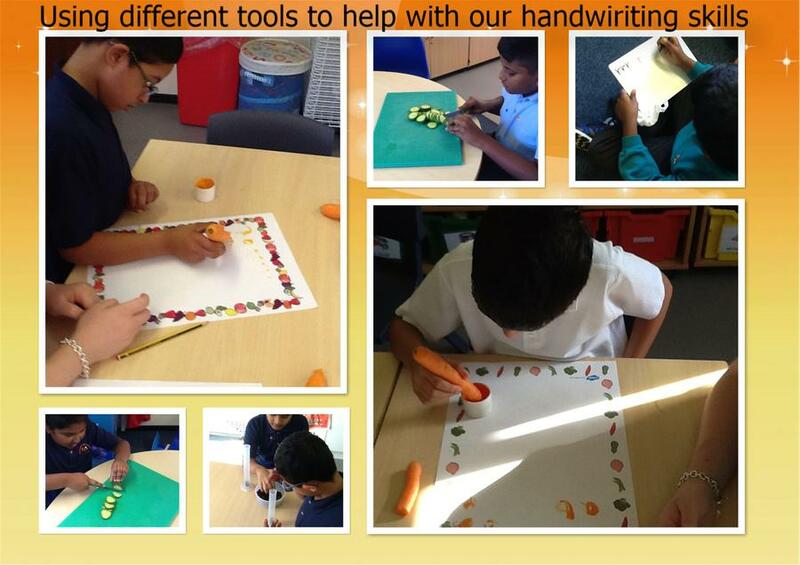 Opal Class have been using different tools to help with their handwriting skills. They used carrots to write with, cut cucumbers and transferred soil from a pot to a thin tube. These activities get the children using their fine motor skills which will over time help and improve their muscle control and pencil grip.